My name is Jorge Sierra, and I have been keeping snakes since the 70's. 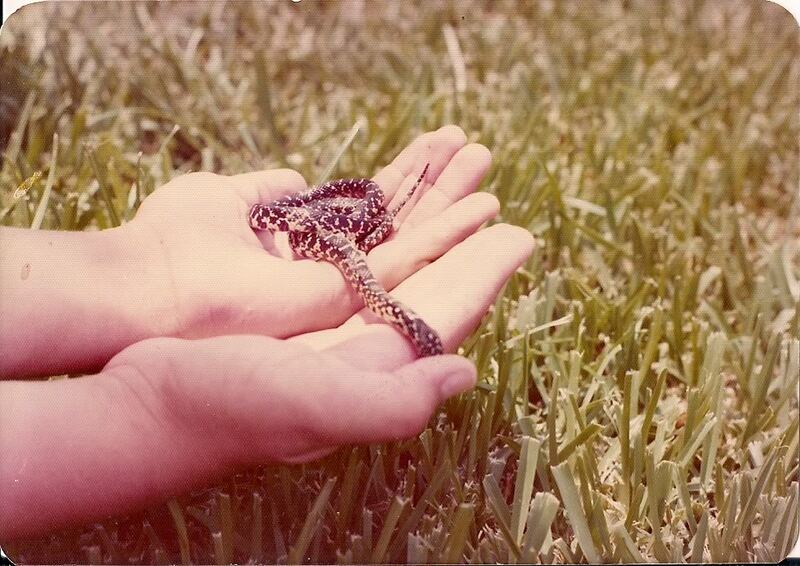 I started breeding snakes as a hobby in 1991. I love all snakes but my passion has always been Colubrids, and especially King Snakes! I also have a passion for Corn Snakes, which are a lot of fun to work with. My wife Janet shares in my enjoyment of this wonderful hobby. My goal is to provide other Colubrid enthusiasts a place to purchase high quality, well started, and healthy snakes. I will not sell any animal that I would not buy myself. I keep all baby snakes until they are eating well on their own and have shown themselves to be problem free. When you buy a snake from me, you can be sure that the animal is of the best health and quality. Any issues with any snake will be discussed prior to the sale. No surprises! I know how disappointing it is to find problems with an animal after the sale is made. I will try to supply individual pictures of snakes when ever possible. At the peak of hatchling season, it will be impossible to post pics of every individual animal on this site. So if you are interested please email me, and I will do my best to supply pictures. Breeding snakes is my passion and not my sole income, so I can afford to sell at very reasonable prices. My terms are simple! I am a very honest person, who will bend over backwards to make your purchase as smooth and enjoyable as possible. I ask that you in turn, are honest with me! I require notification within one hour of receiving the shipment of live snakes, if you choose to have it delivered to your door. Do this and I will guarantee the animal for 72 hours. Contact me within 72 hours, at which time you can return the animal for a full refund of the cost of the animal for any reason. Even if you just don't like the looks of it! After 72 hours the sale is final. The cost of shipping the animal back will not be refunded in full, but I will share 1/2 of the cost of shipping only, and only when paying full price. I will not share the cost of any other expense such as fuel to drive to the station, or repackaging, etc. You should be able to use the same box you received it in, so don't destroy it. That's better than any offer I've seen anywhere! Communication is of the utmost importance! If I don't hear from you I can't know what's going on, and the guarantee is void. Shipping will be done with either Fed Ex, or UPS if available. ﻿I highly recommend you have your snakes delivered to your nearest Fed Ex full service location. This reduces risk to your snake, by avoiding the delivery van which may make many stops sometimes in extreme weather before reaching your home. I have all my snakes delivered to my Fed Ex station, and my snakes are there at 9am when the doors open.﻿ I will always try to keep the shipping costs as low as I possibly can, in order to keep the sales within reason. I will not add box fees or handling fees. I may even pay a portion or all of the shipping with larger orders. So the more you buy, the more you save. Shipping will be done from Mondays thru Wednesdays. I do not like shipping on Thursdays for a Friday delivery because shipments do get held up on rare occassions, and that would mean your snake will sit in a warehouse until Monday, and you would get it Tuesday! If you notify me that you definately want a snake being offered for sale, I normally give you 48 hours to make the payment via Paypal. If you are paying by Money Order contact me, and a time limit will be set for each purchase individually, taking into consideration weekends and Holidays. My email and Paypal address is a153fish@aol.com or you may fill out the contact form below. Note* Be sure to check your spam folders if you don't get a response from me. I check my email thru out the night while at work, and usually answer by 10:00am eastern time! Occasionally I may be running later, but very seldom. To Contact me, fill out and submit.